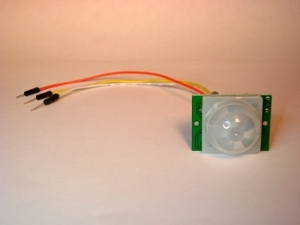 See our Arduino Motion Sensor Tutorial for the instructions and example software for this part. This motion sensor is simple to use with Arduino boards. We don't have a data sheet for this part, but don't worry, it is dead simple to use. See our Arduino Motion Sensor Tutorial for instructions and example software.